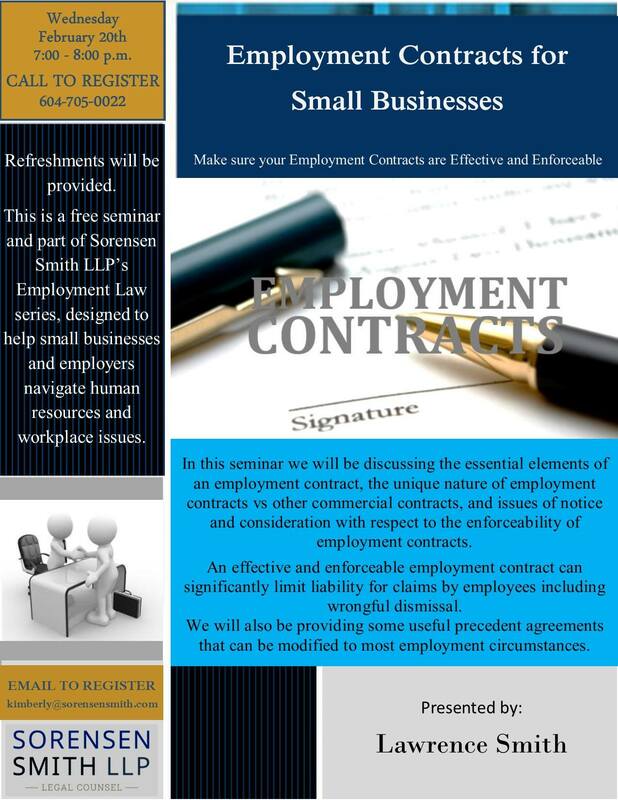 In this complimentary seminar we will be discussing the essential elements of an employment contract, the unique nature of employment contracts vs other commercial contracts, and issues of notice and consideration with respect to the enforceability of employment contracts. An effective and enforceable employment contract can significantly limit liability for claims by employees including wrongful dismissal. We will also be providing some useful precedent agreements that can be modified to most employment circumstances.